My Name is Tom Brockman and G4TPH is my British call sign. I was first licensed in the USA as K8VST in 1961. Due to Military service I ended up living in England and married a British citizen. In 1982 I did the British exams and became G4TPH. 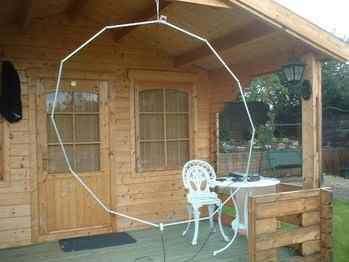 I have always experimented with antennas and tell the story about loading up an aluminium garden chair on 6 meters in the 1960’s using 90 watts, a Heathkit transmitter, and AM mode. (A 5 element Hygain beam was the usual antenna used). The reports were “ you’re not as strong as usual”. My response was: “I’ll move my chair” You can imagine how the rest of the QSO went. I have been an active member of the Newbury and District Amateur Radio Society (NADARS) for many years. I am also a memeber of the International QRP club. I now have reduced the range to only 2 models. Once you get the best possible it is hard to make any improvments. The 2 models are the ML40 MK11 remote tune and the ML40MK11 Manual tune. Both will tune 40m throught 15m and using only 7 rails they will tune 12m and 10m. The new MKII models have been totally re-designed and no components of the original antennas are compatible with the new MKII antennas.